The summer heat is far from being over but that won't stop the ringing of back to school bells! With the first day of school just a few weeks away, our schedule is about to get a whole lot busier! This year both of my children will be in school full time, my daughter is off to kindergarten and my son will be starting 5th grade - man how time flies! 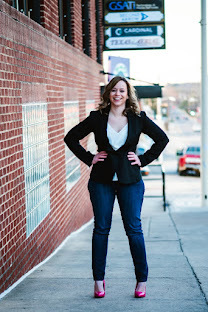 Trying to balance school, work and life in general is a lot when your a single mom, we spend a lot of time in the truck, we are always on the go! I don't mind managing it all, but more often than not I find myself eating or feeding my little family on the go, my children mean everything to me and I love when they ask for their favorite foods at the grocery store. However, sometimes I need fast, easy, and convenient food options that taste good and are available when and where I need them. As a mom it's important that anything I provide for my family is something everyone will love and that's why I fell in love with Nestlé! Nestlé has a variety of amazing products that are the perfect solution for back to school time, Nestlé is all about 'Good Food, Good Life' and their wide range of products offers options that the entire family can enjoy. 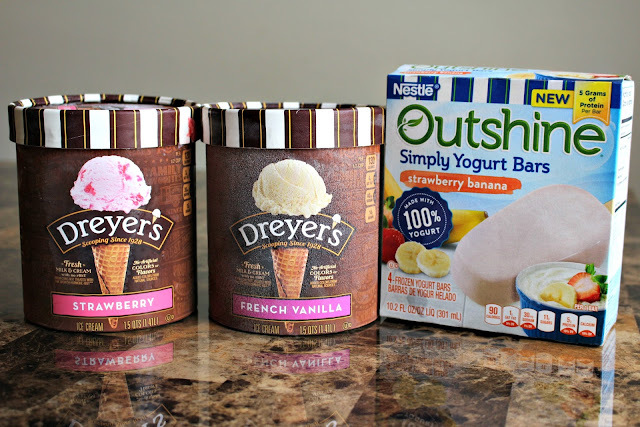 With the help of Nestlé, I am enjoying some of my favorites on the go and all I needed was five minutes in the kitchen! 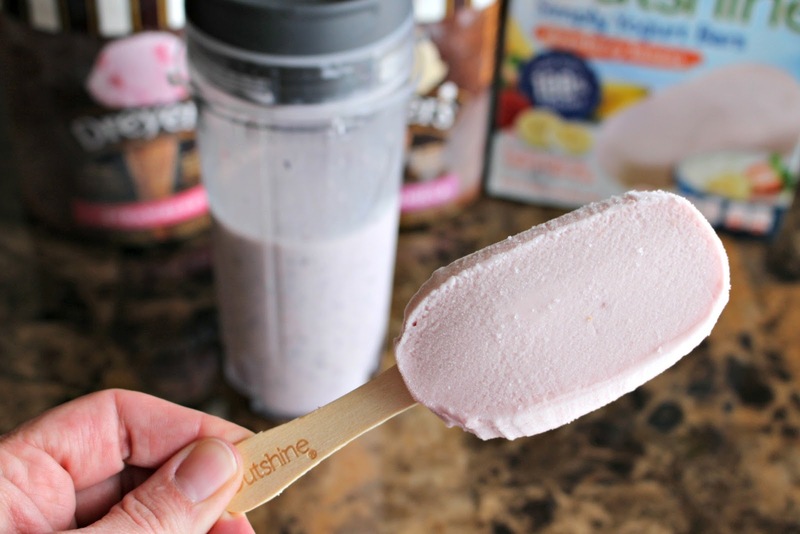 OUTSHINE® Strawberry Banana Simply Yogurt Bars and a small container of blueberries. 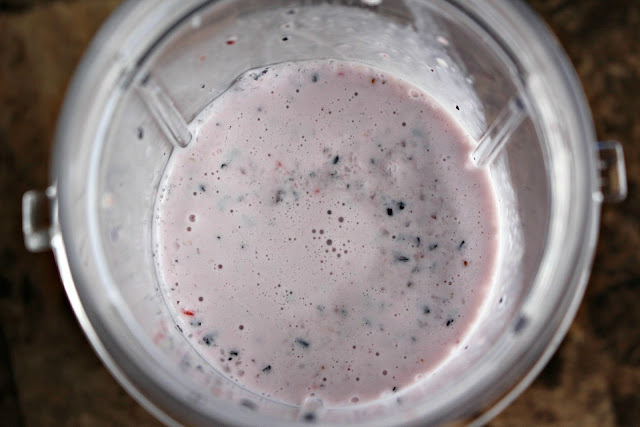 What better on the go snack than a smoothie? I'll take one any day! 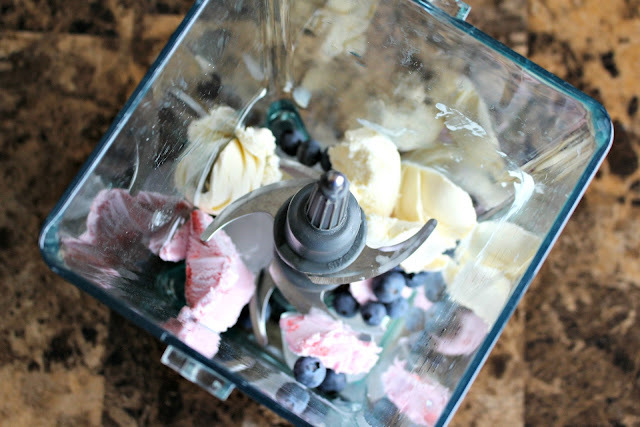 To make the perfect smoothie thats great for every mom - just follow these simple steps! Once all of the ingredients were blended together really well, I poured it into my travel cup, grabbed an OUTSHINE® Strawberry Banana Simply Yogurt Bar and was ready to head out for the afternoon in my truck! This on the go smoothie is full of flavor and contains my two favorite ice cream flavors, it's amazing and perfect on a hot day! From July 25 to September 15, when you purchase any two (2) 30 oz. or larger Stouffers products and at least one (1) refrigerated Tollhouse cookie dough product at a participating Walmart store you can get a $5 Walmart gift card! Check out the dates and complete rules to find out how HERE!! Step 2 - Take a photo of your receipt, the image must be clear and legible, with the purchase date included and showing the qualified purchase. Step 4 - Once confirming you want to participate by responding 'YES', you will be prompted to send the image of your receipt. So what do you think? You can pick up your own Nestlé products at your local Walmart http://cbi.as/4n4fu and be sure to stay connected with Nestlé on Pinterest http://cbi.as/4n4gc! So are you ready for back to school? What Nestlé products will you enjoy on the go?